A joint effort with Louis Vuitton’s Music Director, Benji B. 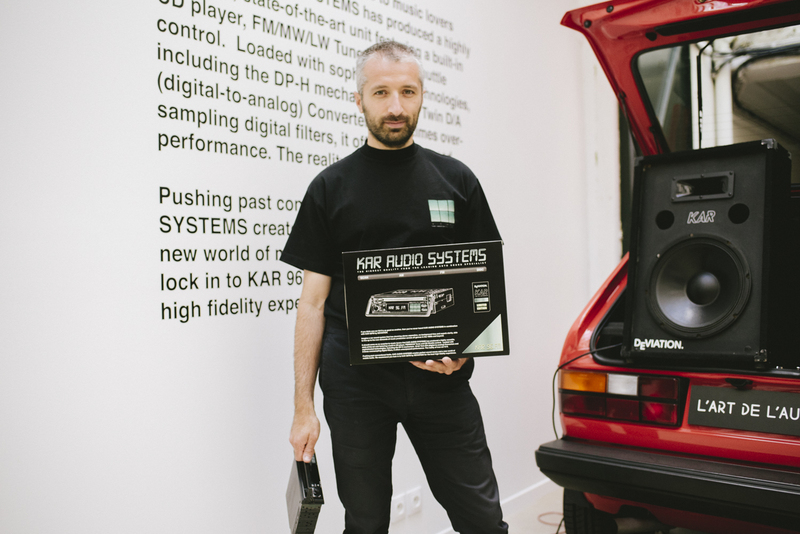 Following the initial reveal of L’art de l’automobile‘s KAR AUDIO SYSTEMS collection, we have a closer look at the collaboration between the Parisian brand and Deviation, the club night run by Benji B (recently named Louis Vuitton’s Music Director). Centering around the retro Alpine 7800 radio, the collaborative pop-up placed emphasis on the exclusive playlist, curated by B for the event. With the radio on a pedestal and various speakers blasting music out of the trunk of a vintage Volkswagen GTI, the event made the most of its humble space. Limited edition graphic tees and copies of the playlist were on hand for attendees, along with some retro-futuristic fashions courtesy of Pierre Cardin. The event continues with a party being held on June 23, including a DJ set from Benji B and friends. Catch up with the Benji B and BadBadNotGood-soundtracked Louis Vuitton Spring/Summer 2019 runway if you havent’ already. Come to experience in our shop tomorrow 45 rue santonge 75003 PARIS #lartdelautomobile #paris #kar96fm music by #deviation @_benjib everyone is welcome!!!! “Wimbledon” is the clue here.